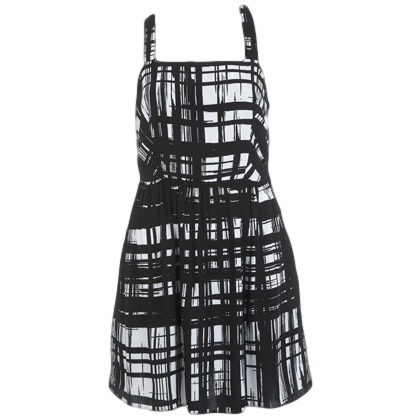 Petites black and white check printed sundress. Length:84cm. 100% Viscose. Machine washable.